Though Photoshop was created almost 50 years ago, it has become a huge part of everyday life. It can be really hard to find unedited pictures online nowadays. However, nature itself is a wonderful artist who can create images better than any Photoshop professional could. The unique shapes of mountains, the lively grimaces of wild animals, and the mesmerizing colors of the sky can only prove this statement to be true. The Bright Side team checked out the brightest photos from all over the world. We have chosen those that were edited by nature itself and now we’re ready to share them with you. 1. There's no reason not to visit this treasure of nature! 2. A sacred mango tree stands on the border of an Indian village for over 100 years now. 3. Who says that a sunrise can only be pink? 4. One of 2,000 natural stone arches in the National Arch park. 5. Nature can make eyes of every color. 7. Sometimes nature mixes up water, sky, and earth to give you a magical view. 9. "It looks like rough seas... but in the sky!" 10. Isn't this the perfect rainbow? 11. And sometimes the color would turn off. 12. The Grand Canyon of Thailand looks like a piece of cheese. 13. Let's name this little creature a "rainbow lizard"! 16. "Hard to focus on the road while driving through such a show." 17. It's definitely a kind of magic. 19. 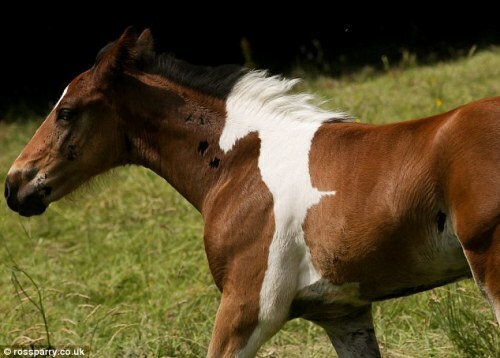 One horse is never enough, let's have a horse with a horse on its back! Have you ever seen any incredible works of nature? Feel free to share your stories and pics in the comments!